YouTube has become more and more popular and more and more parents and teachers are using videos they find on YouTube as teaching materials for kids. Although there are so many great content on YouTube, parents worry about that kids may run into videos they are not supposed to watch. To solve the problem, Google launched YouTube Kids, where kids can watch age appropriate videos, and parents and teachers can have the peace of mind knowing all contents are child safe. To use YouTube Kids, you can download the free app. It is available on Apple App Store and Google Play in US right now, but will expand to more region and more devices. In the app, kids can choose anything shown on the home screen, or pick a category. There are 4 categories: Shows, Music, Learning, and Explore. 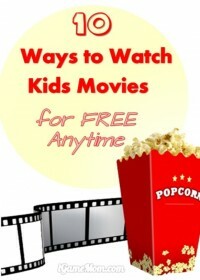 In Shows, kids will find videos from their favorite shows, like Sesame Street, Thomas and Friends, Barney and Friends. The length of the videos vary, some are 3-4 minutes longs, some are more than 10 minutes long, and some are even 30 minutes long. Most videos here are not videos of the TV shows, but related videos created by these shows’ YouTube channels. In Music, kids will find all the fun music videos from many youTube channels. To name a few, you will see Baby Mozard, Lullaby World, Kidz Bop. I was amazed that I can watch ThePianoGuys here. We used to watch their piano performance videos a lot. Under Learning, you will find all the educational videos from YouTube channels like PBS KIDS, HooplaKizLab, BabyFirst TV, Khan Academy, TED Ed. I actually found a couple kids channels I did not know before. I really like those videos under Explore. Looks like it is the place for channels encouraging creativity and hands on activities. I see LEGO, Art for Kids Hub, Rainbow Loom, Cosmic Kids Yoga, Kiwi Crate, and ToyTrains4U. If you are comfortable, you can enable the search function, so kids can search videos by keywords. The search function in YouTube Kids is also filtered to be kids safe. But there is always chance that something not appropriate for kids is missed and becomes available in the search. It is up to parents to decide if they want to enable the search function. One feature all parents will like is the time limit feature. Parents can go into the locked parent control section and set the time limit. The limit can range from 1 minute to 2 hours. When the time is up, the video will stop and the only way to unfreeze the screen is to disable the time limit. I am really excited about YouTube Kids. It gives parents and children a powerful tool to access to the many great content on YouTube while not to worry about running into inappropriate videos. Enjoy!